Lacey Brant is the ever-hopeful waitress at Gerald's Truckstop Restaurant in Albuquerque, New Mexico, a spot that is clear across the country from her home and family in North Carolina. It has been eleven years since Lacey ran away from her angry father. Now she wants to go home again. A single mother struggling to raise her own children, she longs for her father's forgiveness, her mother's sweet embrace, and to share with her aging parents the two grandchildren they have never seen. Cooper is every inch a modern-day Scrooge who wants no part of traveling across country with two children. But he has promised to help out a friend, so he loads Lacey and her brood into his eighteen-wheeler and carries them across the country with him on Interstate-40. As the miles roll under the big truck's wheels, it turns out to be Lacey and her children who are bringing Cooper along with them, on a journey that takes them home to the heart. 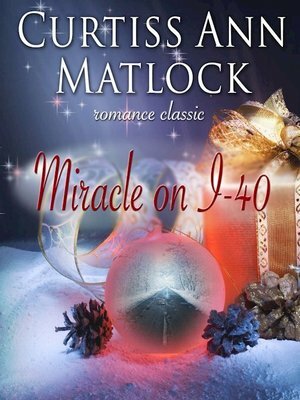 In this revised edition of a Curtiss Ann Matlock classic, readers are treated once again to a cast of lovable characters in a magical romance as sweet and tender as a Christmas cookie. Open the pages and enjoy.